Guided city cycle tours are increasing in popularity all over the world as the preferred way to explore the historical sites. 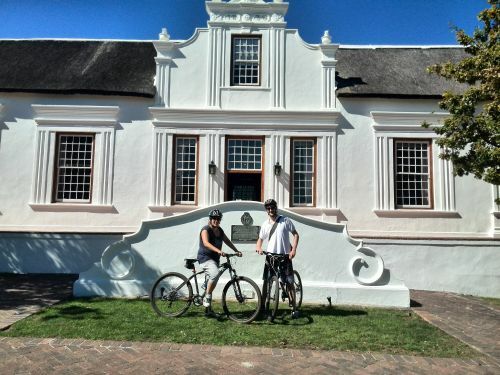 So if you have cycled through the streets of Paris, over London Bridge and through through Stanley Park in Vancouver, the next stop is Cape Town’s company gardens to the backdrop of Table Mountain and the historic wine valley of Stellenbosch. The tour leaves from the Adventure Shop in Stellenbosch visiting the historic sites of Stellenbosch Town, into the scenic Jonkershoek Valley where the mountains form part of a UNESCO World heritage site. 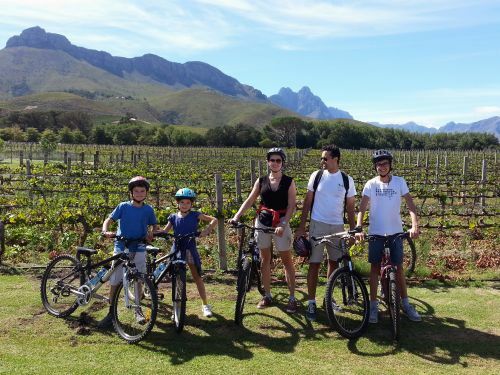 This will be followed by a circular route taking you further into the Jonkershoek Valley where you can enjoy fantastic views of the surrounding mountains.On the way out of the valley, you will stop at another wine estate which sports beautiful grounds and historic Cape Dutch architecture. We will do a Chocolate and Wine pairing that will make your taste buds tingle. After the tasting we will head back into Stellenbosch Town via the famous Stellenbosch University before ending the tour in Dorp Street. The tour starts at 9:00 at the Adventureshop (located at Black Horse Centre, Corner of Dorp and Mark Street) where each rider will collect a bike and helmet to suite their size. The guide will also carry a snack pack for each rider which is included in the rate of R830 per person (valid till Oct 2019 and subject to change). Guide also carries a saddle pannier for those who would like to buy wine en route. 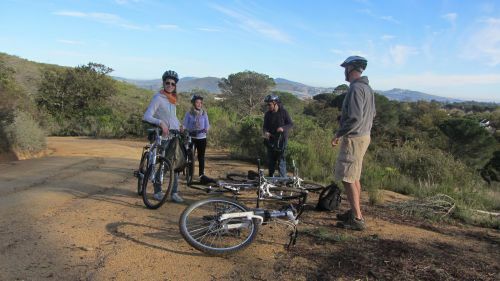 AWOL Tours is offering a 10% discount on the Stellenbosch bike tour if booked in combination with the Cape Town City cycle tour. Please email us for more details.